Are you searching for a new job while still employed? If you are, then what lengths would you be willing to go to in order to hide this from your current employer? There are some who would go as far as to start additional social profiles – such as on LinkedIn. This is all done to keep an employer from knowing what they are up to when looking elsewhere. It’s not really necessary or recommended to begin an entirely new profile. Instead, it’s better to change the privacy settings to ensure your activity isn’t shared with your network. This means if you update your profile, or try to connect to someone new, your boss and colleagues won’t be notified of the change you have made. 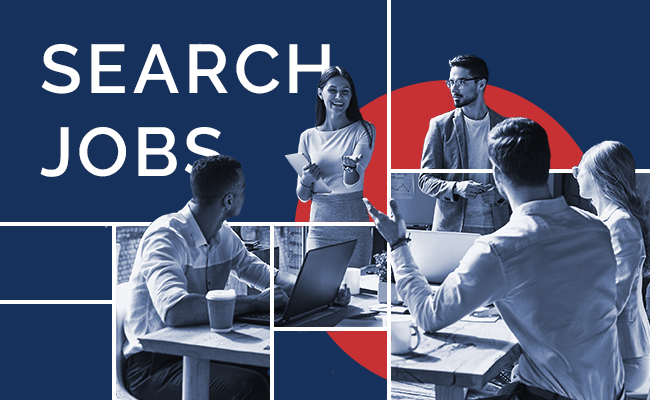 While there is a possibility that a person in the office may notice that you have started to connect to someone in an entirely different industry and concluded that you are in job search mode, this is really the only risk. The good news is, the majority of people are just too busy thinking about themselves to take notice of job hoppers. If you start an entirely new profile, then you are going to lose all of the connections you have worked so hard to make. In most cases, that is going to be more valuable than the risk of your old profile outing your job search. With that being said, it’s a good idea for gainfully employed job seekers to make sure their job hopping search isn’t advertised to the masses. While the search may take a bit longer than the person searching thinks it will, this will be worth it in the long run. For those who want to conduct their job search without being dubbed job-hoppers, they need to avoid these signs of a problem. When a person is searching for a new job, they are going to be more active on social media than usual. They may start to reach out to old contacts, connect with new people, join new groups, and follow companies. As a result, changing privacy settings is highly recommended. This will make sure people in the existing network don’t notice these things and catch on. Another sign that a person may be on the hunt for a new job is if they start to wear a brand-new suit, when traditional office attire is more causal. This can be difficult, because the person may have an interview to go to a lunch, and they may not have enough time to change. Thinking about this conflict, you need to plan ahead. Begin to dress more formally much sooner than an interview is actually scheduled. Also, keep the jacket off until you really need it but make sure that you are slowly upgrading your wardrobe to make the full suit less of a shock. Having an interview in the middle of the day is a huge conflict when working at any job. It also means that you are making progress with the job search. As a result, you should begin to stockpile all your personal time so that you can easily take off – without suspicion - when an interview comes up. If you can work on a remote basis, even for one day a week, then it is going to make it much easier for you to come and go. If you don’t always eat lunch while away from your desk, then you should start doing this – even if you just go for a walk for about 30 minutes. You need people to get used to not seeing you around the office. If you are able to manage the factors above, then you should not draw too much attention to yourself. However, if you are too focused on trying to find a new job, you may begin to neglect the one you currently have. This type of reduction in your performance and productivity are going to impact your employer in a negative way. You should not let this happen. Keep in mind, even though you are looking for a new job, it doesn’t mean you should burn bridges with your existing employer. This isn’t going to bode very well for you in the future. By avoiding the issues here, you can also avoid getting the status of a “job hopper.” After all, if an employer gets a hint that you may be ready to move on, they may find a way to help you sooner than you are really ready. Keep the tips and information here in mind to avoid bringing unwanted attention to you and your ongoing job search. Click below to search our open jobs and apply to the ones that appeal to you. Your job search will be completely confidential with us, and we'll steer you towards your next best move in your career.